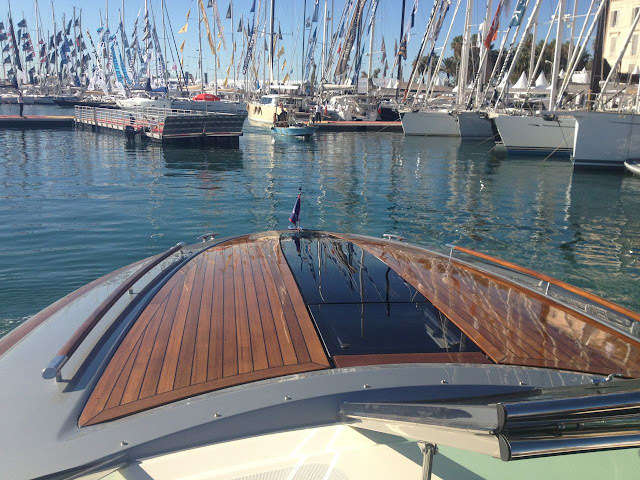 Boat Life Style-Premier Marine: World Class Boating- Boat Shows and Beyond! World Class Boating- Boat Shows and Beyond! Around the World in 30 Days!! 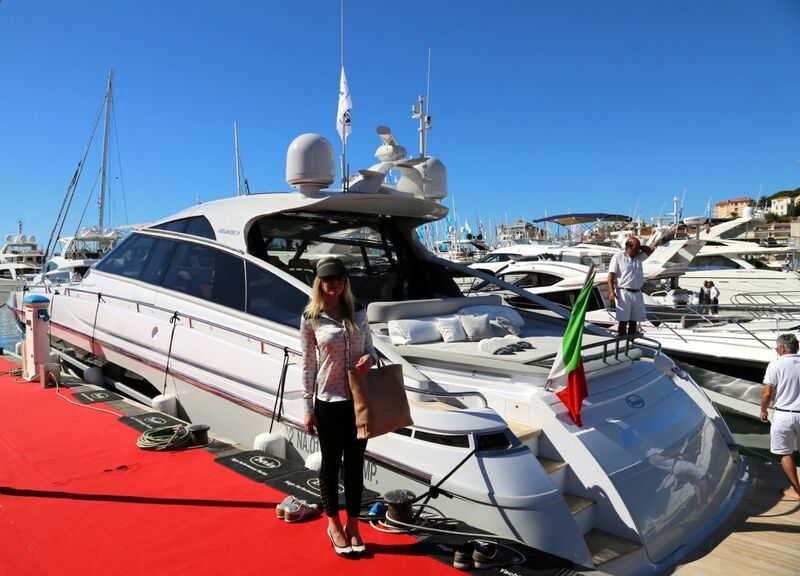 First stop was the Cannes Boat Show! Easily my favourite boat show to visit in the entire world but this year it was especially amazing considering we got to go boating on some beautiful new models released from all of our brands!! The Chris Craft 36 Corsair will always be one of the most highly desirable boats on the planet due to the prestige, performance and pleasure it promises. Testing the latest innovative model in the South of France was a great way to remind myself of just how lucky I am to do what I do. Ha, and they call this work! After having a sweet run on the Chris Craft 36, we headed over to the Frauscher stand. 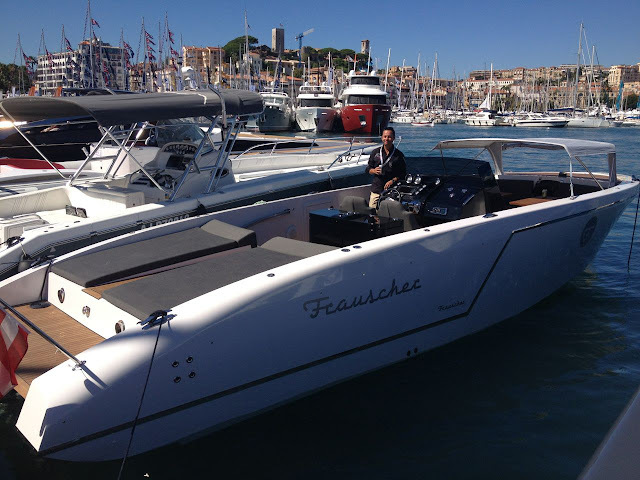 I was so excited to see the newly launched Frauscher 1017GT and Frauscher 1017 LIDO. 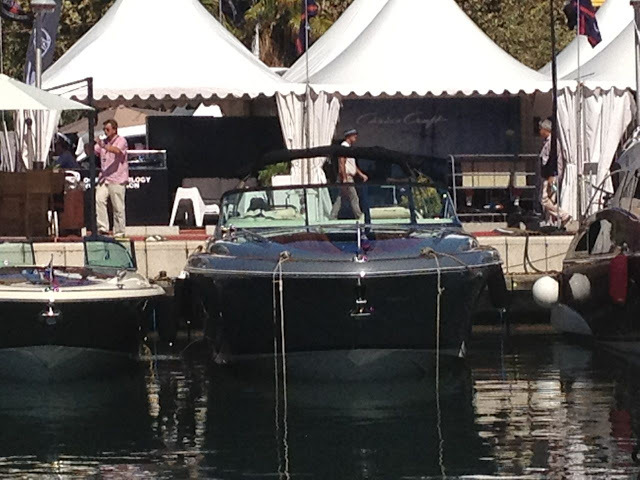 The best bit was that we got to go boating on these 2 babies as well! Baia Atlantica 80. What an unbelievable boat! 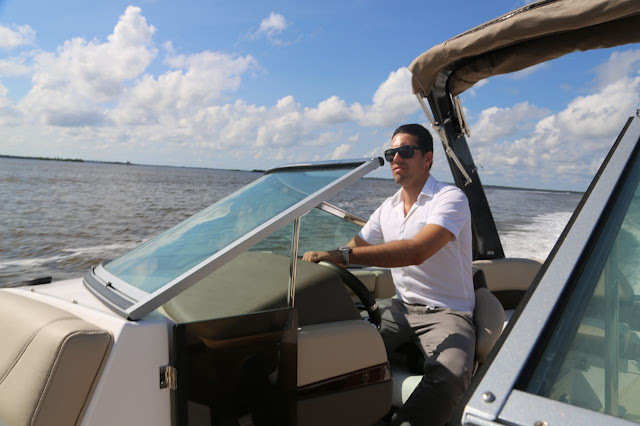 Having never been a 'big boat' fanatic, I have to admit seeing and testing the Baia boats has completely changed my entire perception of what boating represents. The sheer performance of the Baia 80 Atlantica is something that needs to experienced to be believe. With a top speed of 50knots, I cannot even tell you how much I now love these brilliant boats! Of course, having just become a huge fan of the Baia boats in Cannes, we couldn't think of anything better than visiting the factory in Naples. 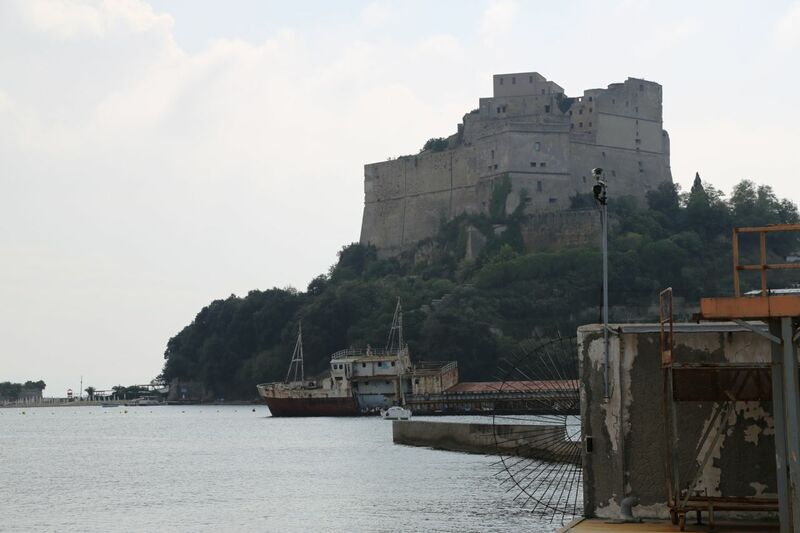 Located in the most gorgeous ancient city of Baia, this is one day I will never forget. What a beautiful place to build boats!! From a heap of stopovers around the world (way too many to mention) we were excited to be attending the Regal Dealer conference, not only because we were testing the entire range of models, but also because we were being presented with an award!! 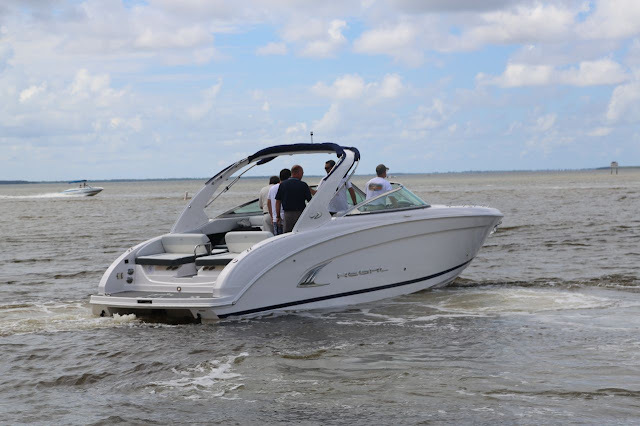 Our favourite boat in the range, was easily the Regal 3200 Bowrider, which could take 16 guests onboard and in absolute style and comfort! 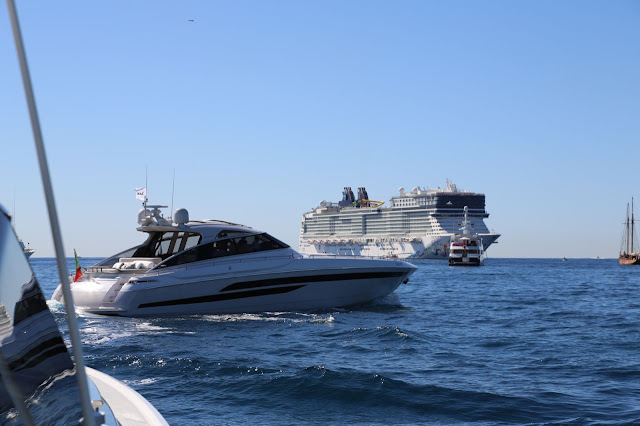 Getting to personally test the boats was just amazing and funnily enough, some of my male companions had remarked that they'd never been chauffeured by a female before! Apparently my ability to jump other boats wake was rather impressive! Just another day for me, considering I'm used to chop! Steve, the Dealer Principal putting the Regal to the test!! Having circled the world and played on some 30 different boats, I'd be lying if I said this wasn't one of the best experiences I've ever had. This trip has only confirmed my belief that any day on a boat is a perfect day! Europe and America, with boats galore, has been the best 'holiday' I've had to date!! When you’re in the market for a used boat for sale, you may want to check out your local boat show because this is probably the best place in which to do business in a boat at a boat show. You have to know about how to save money on textbooks? When you will know about it. Then you have to save money. world class boating is a very good post. Its really enjoyable for every man. If student go to world class boating its helpful for every student entertainment.